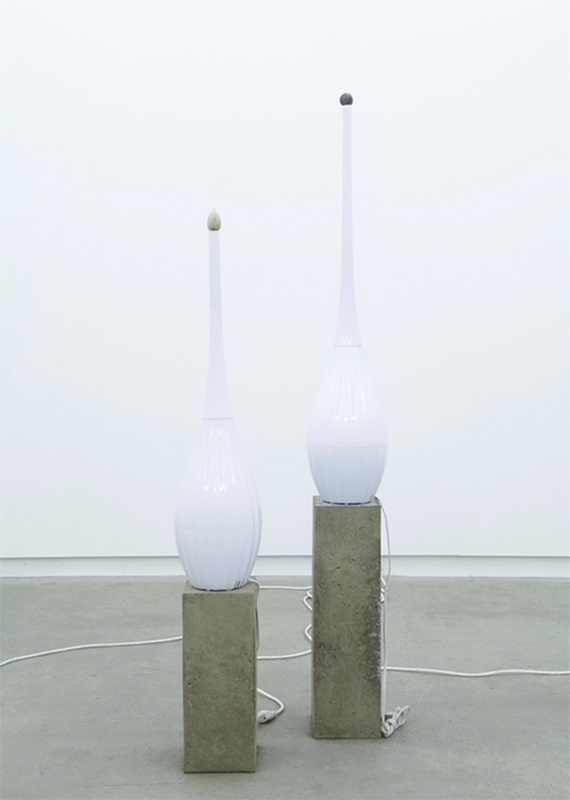 Jason de Haan, Free and Easy Wanderer (Red River), 2014, fossils, humidifiers, concrete, dimensions variable. Last summer, the Geological Society of America released a study confirming the appearance of a new type of stone, discovered in Hawaii in 2006. To the casual observer, this may not seem like earth-shattering news. Yet these “plastiglomerates,” formed by the random fusion of melted plastic from our waste-laden ecosystem along with sand, coral, shells, and other flotsam and jetsam, might in time prove to be a pivotal marker of our age, hard-set evidence of the moment when the delicate balance between man and nature finally tipped.